Messy Monday: Have you tried the Mount Vernon method? I’ve been nursing a nasty case of the swine flu for the past nine days. Well, I haven’t been tested, but I’m pretty certain it’s some variety of the porker’s plague. A friend went to the library for me and checked out enough reading materials to last until next year’s flu season. Along with the requisite murder mysteries and gardening books, there were a few self help books, the topics of which should probably have offended me. To wit: one was entitled “The New Messies Manual” by Sandra Felton. “Well, I never!” I thought. 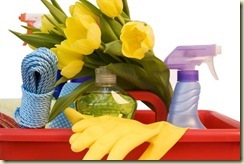 I’m not a messy person – then I glanced around my house which had been converted into the nursing home from hell! Actually, it resembled a toxic dump. Empty cans of chicken noodle soup, a dozen empty water bottles, magazines and half-eaten trays of Lean Cuisine littered the landscape. I kept the dog food bag by my chair and just threw it out for Rebel and Lucky Dawg like I was feeding chickens. Hey! This flu is bad stuff, and I relaxed my standards to dangerous levels. If the health inspector had dropped by, I’m certain my place would have been condemned on the spot. I began to feel a little better this morning and began reviewing “The New Messies Manual” in preparation for a little clean up. 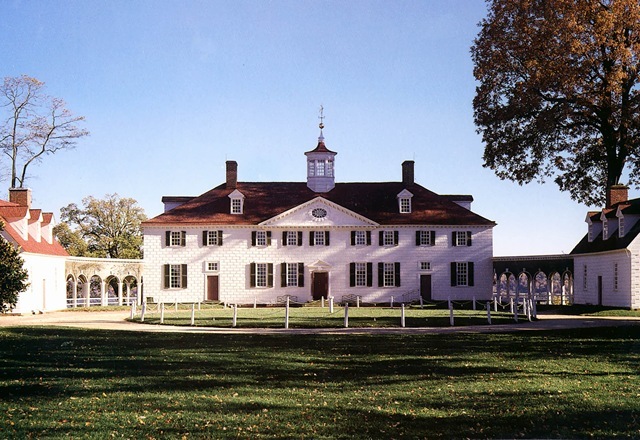 The author recommends “The Mount Vernon Method” which was developed by the head of housekeeping at George Washington’s spectacular estate of the same name. George and Martha’s bedroom – of course they’re not around to mess it up again! 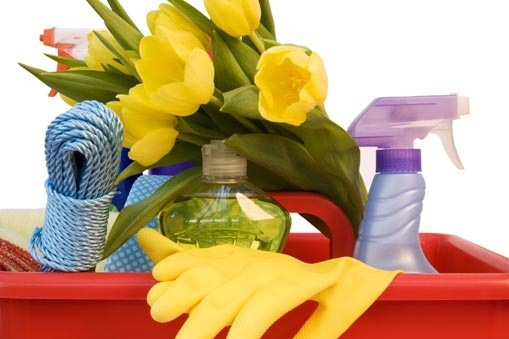 She directs her cleaning crew to start at the front door and work their way around the periphery of the room. When one room is finished, they proceed to the next, doing everything that needs to be done in each room so the workers build momentum and establish pride as each space is spiffed. It’s reminds me of mowing the yard. As you mow one strip, you receive instant gratification and can’t wait to see the finished job. I’ve been more inclined to use the Mount Vesuvius Method which involves waiting until you can’t see the floor anymore, then exploding into a cleaning machine, tearing through the house throwing stuff in garbage bags which usually must be deposited into the spare room so you can “excavate” the contents later. Of course, you never do. 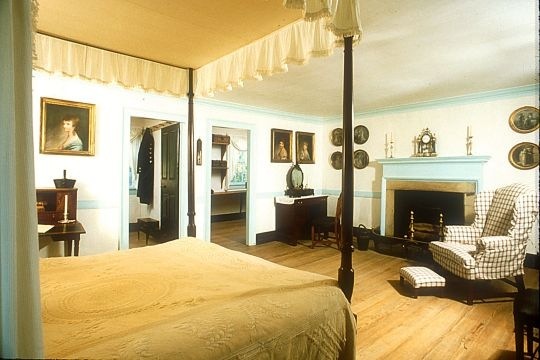 I like the Mount Vernon system better, but then it’s a breeze to clean up when George and Martha aren’t around to mess it up again. I got the front room done and returned to my recliner. The room looked great, but I heard the pigs calling, reminding me I was still ill and had done enough for day one. I figure by Labor Day, I’ll have the house back in ship shape! Emily Jones is a retired journalist who lives in Starkville, Mississippi. She edits a website for bouncing baby boomers and welcomes comments at www.deludeddiva.com. This entry was posted in Good housekeeping, Health and well-being and tagged Messy Monday, porker's plague, Sandra Felton, swine flu, The New Messies Manual by Emily Jones. Bookmark the permalink. Ooh, I’m a messie alright. I’ve read the Messie’s book, and I loved it. 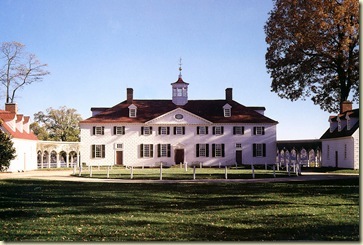 Every so often, I just decide to “Mount Vernon” my house. It really works like a charm and helps keep you focused and also helps to keep you from getting overwhelmed. I couldn’t recommend it more! Good Luck! Glad you’re feeling a little better, too! I am having a problem with seeing your blog clearly with the newest release of Opera. It’s fine in Explorer 7 and Firefox though.Have a nice day. Hmmm. I’ll have to ask my computer guy about that. Never heard of Opera. Thanks for the info.